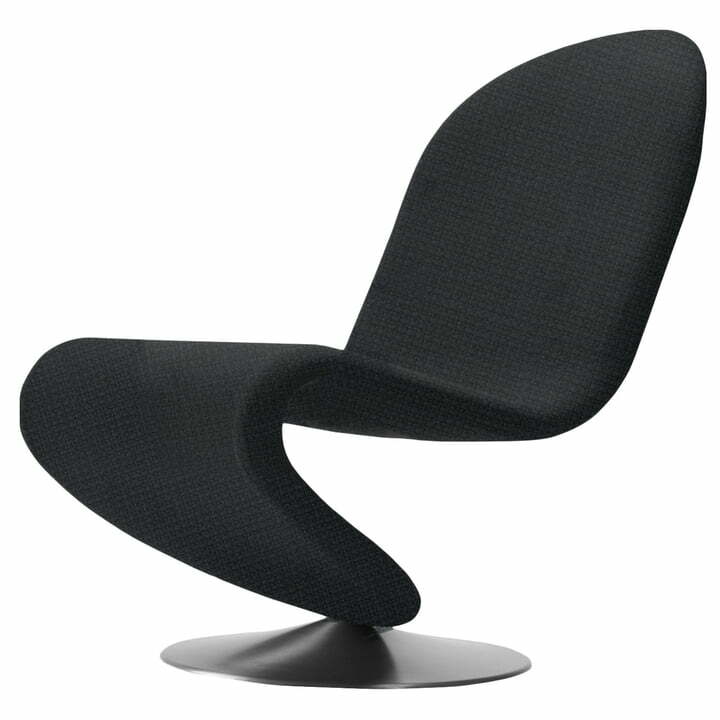 Verpan presents a chair out of the 1-2-3 series with the 1-2-3 Lounge Chair. 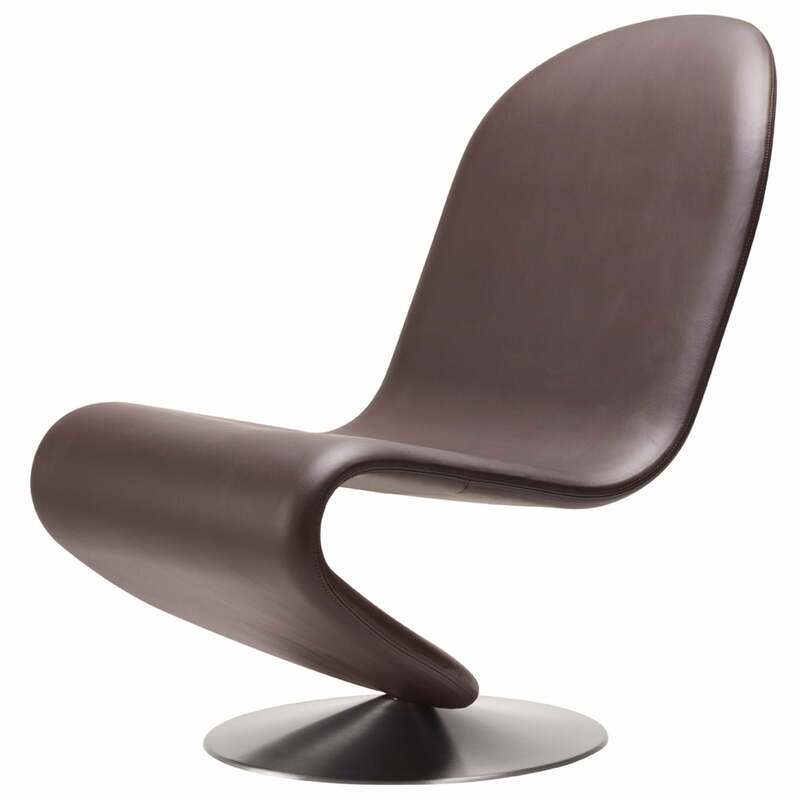 The series has already been designed by Verner Panton in 1973 together with Fritz Hansen. 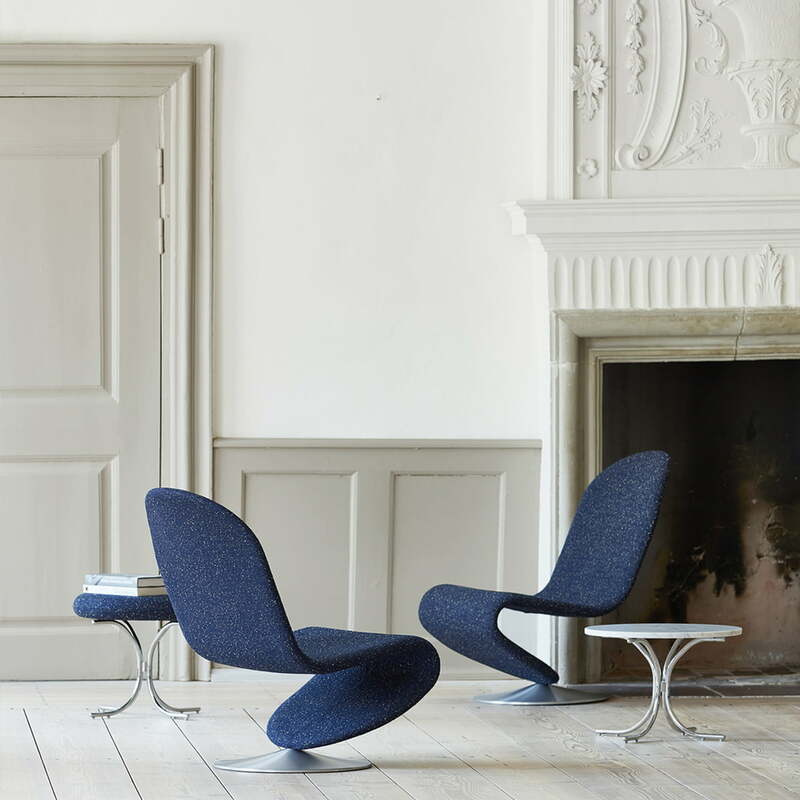 The initial collection included 20 different chair models, which differed by some details such as the seat height, armrests or bases. The public was astonished by the chairs in that time. 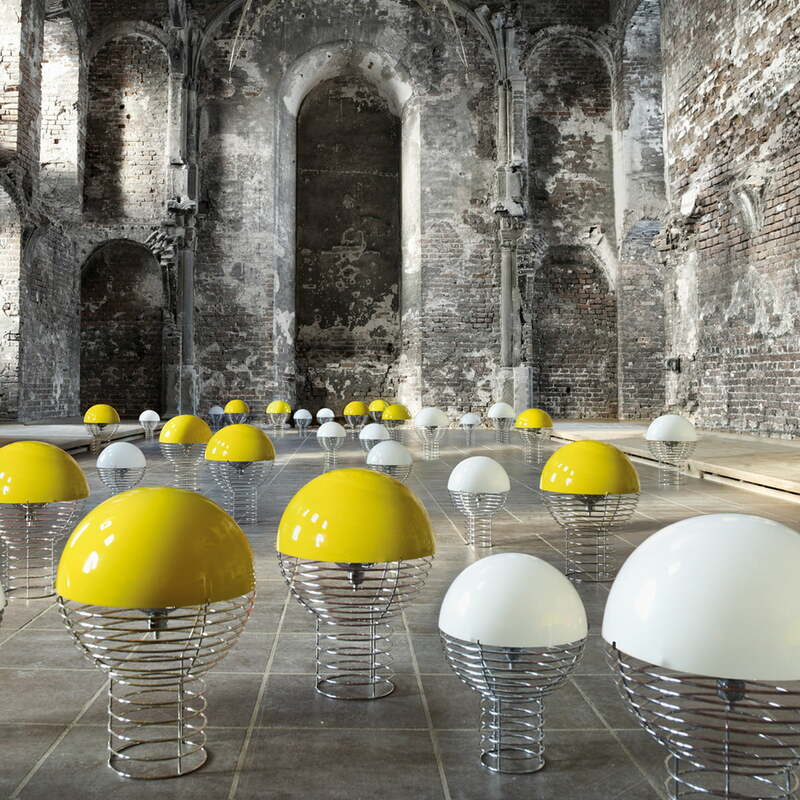 Criticizers even called the series a milestone for the future of furniture design. The lifestyle product image of the System 1-2-3 Lounge chair standard with the Wire table lamp and the Modular table, that together create an exciting and timeless ensemble. 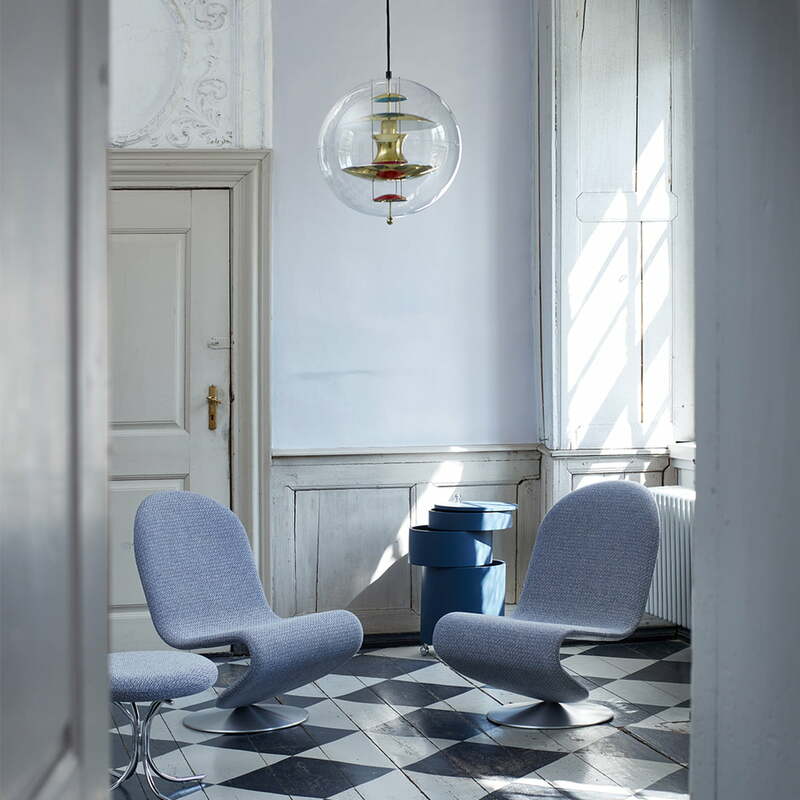 Lifestyle product image of the small Modular table with a round marble tabletop and the System 1-2-3 Lounge Chair Standard by Verner Panton for Verpan. Lifestyle product image of the Barboy and System 1-2-3 Lounge Chair Standard by Verpan. Barboy and armchairs make up an exciting and modern composition.